"There comes . . . a longing never to travel again except on foot." "But the beauty is in the walking - we are betrayed by destinations." "Walking . . . is how the body measures itself against the earth." What Is An Angel Walkabout™? Popular Angelwalkabouts™ are listed here. 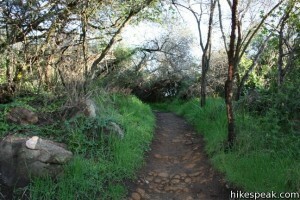 An Angelwalkabout can also be created on your favorite trail! Check our events page for a current schedule. If you have driven through Malibu on PCH, then you have seen Point Dume, a dome-shaped promontory jutting into the Pacific at the northwest end of Santa Monica Bay. The point is surrounded by picturesque white sand beaches and sparking blue water. The headland is protected by Point Dume Natural Preserve, a California State Park. 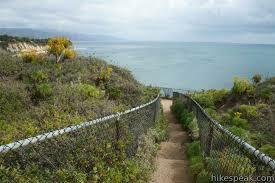 A mile of trails on Point Dume’s bluffs lead to two overlooks, one at the top of Point Dume. 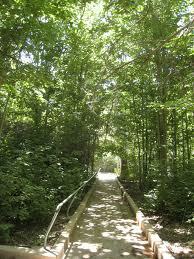 Additional trails access both a secluded beach and a popular beach on opposite sides of the point. Seasonally, Point Dume Natural Preserve is a great place to spot whales migrating along the coast. 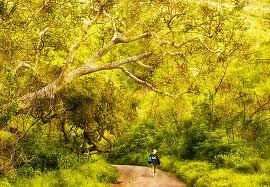 Solstice Canyon is an easy hike along a shaded trail that is partially paved before it gives way to a fire road. A babbling brook is the soundtrack as the trail leads you to Tropical Terrace and the foundations of a house designed by a renowned architect Paul William’s. It has gorgeous views of the Pacific Ocean. 3 miles round trip.You can take Solstice Canyon back, or work up a sweat on the switchbacks that take you to the Rising Sun Trail at the top of the hills. Panoramic views of the Pacific Ocean are your reward for the huffing and puffing. Switchbacks and steep hill climbs characterize the first two miles of this hike. With an elevation gain of about 1,300 feet, it's definitely a tougher climb. But you can find your reward as you gaze out from a vantage point atop the bluff. Enjoy a picnic lunch or relax on a bench while taking in the overlook. 7 miles round trip. From the trailhead, it’s about a mile-long trek to the falls. The trail crosses Escondido Canyon Creek several times, so prepare to get your feet wet if you’re hiking in the rainy season. This is a gradual climb that drifts in and out of tree covering, alongside canyon walls. Soon, you’ll be standing at the base of the 50-foot-high Escondido Falls, admiring the multi-tiered cataract flowing over moss-covered rocks. 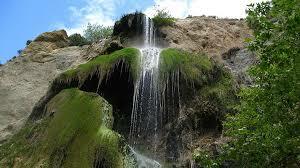 In the springtime, the waterfall is usually quite active, but the amount of water varies depending on the time of year. Scramble up the rocks to see the upper level and even more of the falls — the upper tier is about 100 feet high. Wading in the pool beneath the falls is a great way to cool off before heading back along the same route. 4.2 miles round trip. These trails are hidden gems in the busy city of Long Beach. You would never know that you were not lost in hidden woods, rather than less than 1/2 mile from a busy freeway. 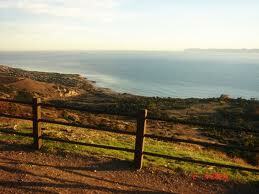 Is a pleasant hike that provides you with spectacular views of the Palos Verdes coastline. Catalina Island is clearly visible, and if the day is really clear you can see San Nicholas Island 70 miles out to sea. Upon arrival you can park your car in the parking lot, walk up the grassy hill a few hundred fee to a wonderful overlook. Next, double back to the street to the gate at the end of Crenshaw. Walk for about a half mile down the main fire road to a small knoll covered with pine trees. Head up a short trail up the hill to a beautiful set of magnificent pine trees that comes with a great 150 degree view of the Palos Verdes coastline and islands. Back down on the trail you’ll see many other trails that you can take some strenuous but all doable. 3-4 hours. Just off the coast of Southern California is this lovely island with beautiful nature settings and indigenous wildlife. Wonderful trails that lead up to what is the most spectacular view of the ocean and her sister islands. 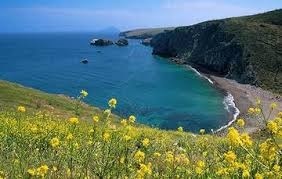 Santa Cruz Island is one of the five Channel Islands off the California Coast. This would be an all day destination hike. You’d journey via a large boat a from the harbor in Ventura and back an hour each way(boat ticket is included). Dolphin and Whale sighting are very likely on your way there as well as on your return to the harbor. Copyright © 2019, Angel Walkabout. All Rights Reserved.